A 2017 Service Year Alliance Program Impact Award recipient, Our mission is to raise up a new generation of change makers for the world – individuals who will spend their lives working to advocate for peace and justice for all people. 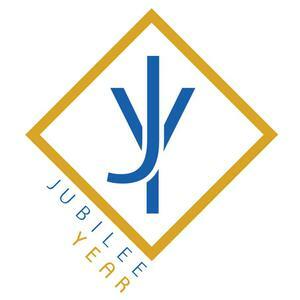 Jubilee Year Los Angeles (JYLA) prepare young adults to become such leaders. Each fall, we gather a new class of young adults (ages 21-29) from across the United States to live in intentional community and work for change in some of Los Angeles County’s most innovative and effective social service agencies. JYLA (formerly the Episcopal Urban Intern Program) is one of the longest continuously serving year of service programs in the nation. Our staff makes it a priority to compile a diverse, unique group of young adults each year to represent our program. Jubilee Year create leaders through a deep, sustained commitment to service. Our program focuses on personal and professional development while exploring and advocating for Social Justice in service sites across LA. JYLA corps members serve as full time (40 hours a week minimum) volunteers at various social service agencies throughout Los Angeles County. Jubilee currently partners with numerous non-profit service sites within the Greater LA area which provide interns with high-level, meaningful engagement with problems and solutions of social injustice. JYLA is committed to providing an engaging and transformative Year of Service experience for our corps members. Our program is designed to allow young adults to grow and develop personally and professionally while engaging directly with the varied social justice issues confronting Los Angeles today. We seek to immerse our corps in intentional community, simple living, and meaningful service.